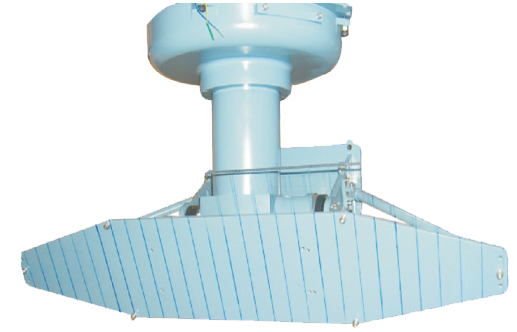 SCTSPL has offered a lightweight and compact size Airborne Dual Axis Positioner, ideal for mounting in Aircraft or Chopper for airborne/ maritime surveillance. It is designed to operate with payloads weighing up to 10 kilograms. The Dual Axes Airborne Positioner is designed and built with new technology for efficiency, simplicity, cost effectiveness and ease of maintenance. Powerful BLDC motors through proper electronic circuits give a controlled programmable, rotation, position and provide the rotation and elevation to the Airborne Dual Axis Positioner. The Positioner has a hollow shaft at slew center for routing of cables between rotating and non-rotating portion.It comes with suitable safety features like limit switches, emergency stop, mechanically and electrically operated Electromagnetic brakes, drive power cutoff for maintenance etc., The System comes with ON-LINE and OFF-LINE diagnostics facility in addition to the Power on self-test and desktop based Test software for stand-alone testing.